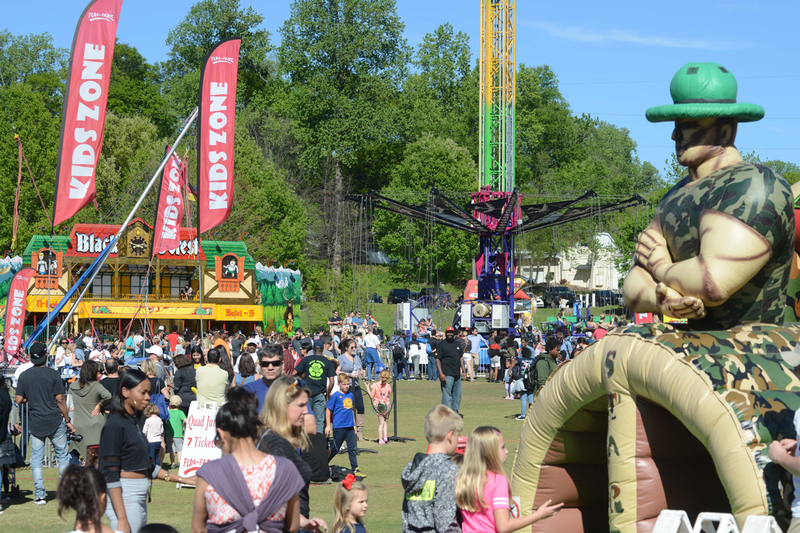 Atlanta’s Annual Dogwood Fest, the cheesiest day of the year, and Charlie Brown. The annual Dogwood Festival is this weekend. Details: With festival season rolling in, Atlanta Dogwood Festival is back for its 83rd year. As tradition, the artist market will showcase creative works from more than 260 artists across the country, along with the festival’s Mimosa 5k, Disc Dog tournament, and live music from Jacob Bryant, Jessica Meuse, and more. And don’t miss Out of Hand Theater’s Dogwood Quest. Round up the family on Friday for unlimited rides and discounted snacks. When: April 13, 11:30 a.m.-2 p.m.; 2:30-5:30 p.m. Details: The crisp, on-the-go comfort food will be all over Atlantic Station to celebrate National Grilled Cheese Day. With 30 Atlanta restaurants whipping up the cheesy goods, you can also pair it with a drink and enjoy some live music. Details: Record stores ITP and OTP including Criminal Records, Fantasyland Records, and Decatur CD & Vinyl are a few locations taking the Record Store Day Pledge to celebrate independently owned records stores with giveaways, limited editions vinyls, and of course, music. When: April 13, 1-5 p.m. Details: An afternoon in the park just got better with more than 50 wines to fill your souvenir tasting glass and live tunes to jam out to. Details: Marietta Theatre Company brings Charles Schulz’s characters to life with this show, which has been performed off-Broadway and on Broadway multiple times since it was first staged in the late 1960s. Expect to see all the Peanuts favorites in this family-friendly show, as Charlie Brown tries to figure out what it means to be a good person.